If you’re not following us on Instagram yet, you need to fix your life and get on it. Every Friday we’re looking at seasonal packaging, from pumpkin spice cereal to apple pie cookies. Below is a roundup of everything we’ve posted so far for September. If you happen to see any great examples of limited edition packaging out in the world, drop us a line and we’ll try to get our hands on it. 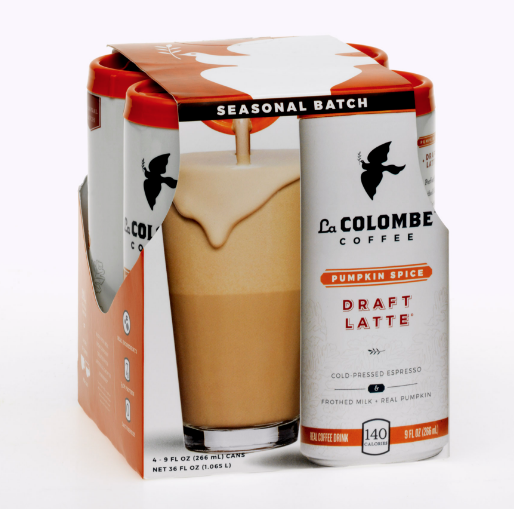 Keeping in line with the rest of their draft latte line, this seasonal addition from La Colombe is very clean and minimalist, with just a few touches of orange to suggest the flavor. Unlike most pumpkin spice flavored products, this one incorporates actual pumpkin. 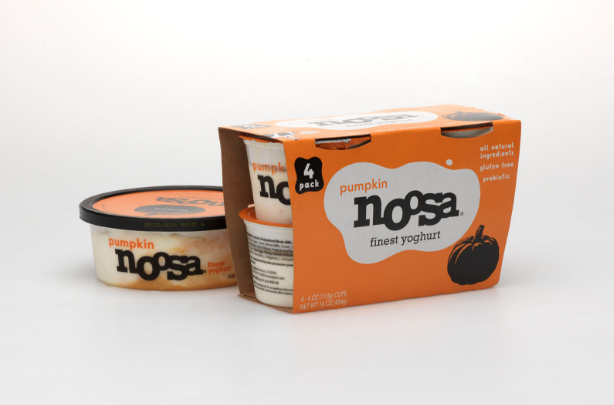 This pumpkin-flavored Noosa yoghurt features predominantly orange packaging, with touches of black that give it a Halloween-like vibe. 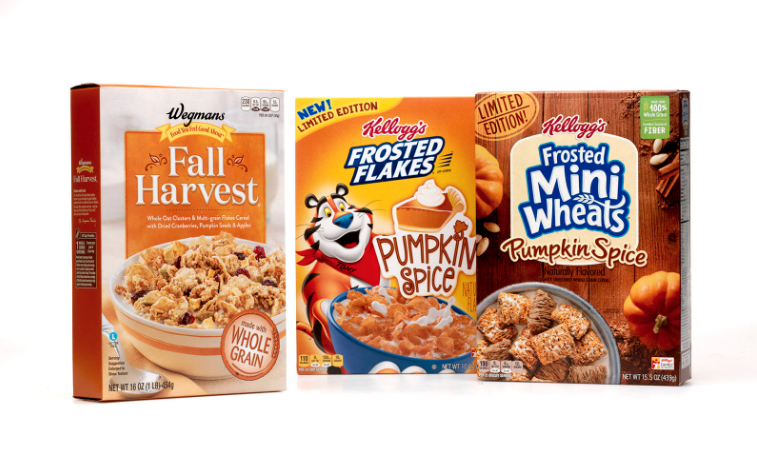 Last week, we examined the different ways that cereal brands represent the season. Some, like Frosted Flakes, focus on the indulgent side of Autumn traditions by using a slice of pie with whipped cream to signal the pumpkin spice flavor. Meanwhile, the team behind another Kellogg’s brand, Frosted Mini Wheats, uses warm and rustic imagery to get shoppers in the spirit. 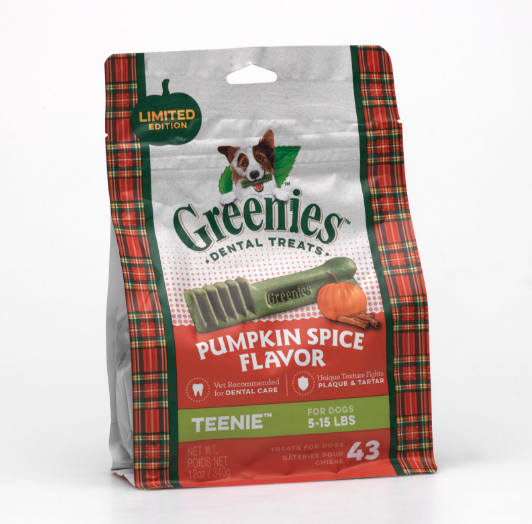 This was definitely one of the stranger products we’ve seen this season — pumpkin spice doggie dental treats! We like how they brought in a flannel print to represent Autumn, rather than sticking with the expected orange-and-brown color palette. Keep checking in with us on Instagram for more insights into seasonal packaging. You can also follow us on Twitter, Facebook, and LinkedIn.